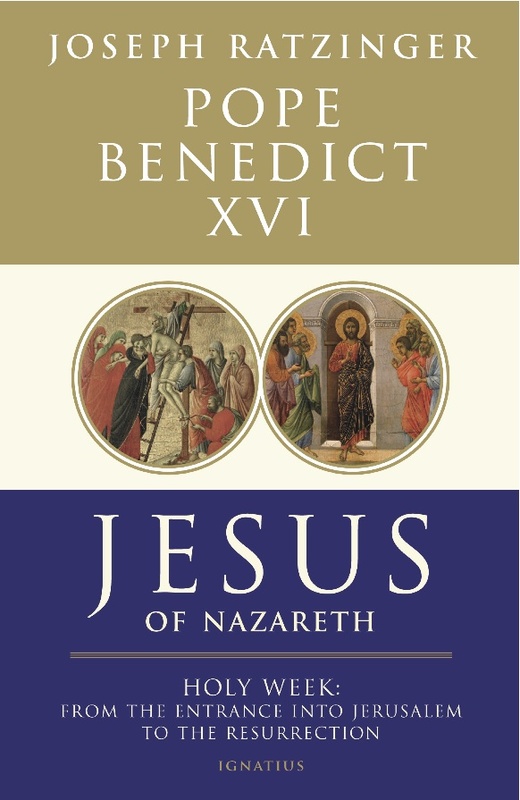 A week before the second volume of B16's Jesus of Nazareth hits bookshelves (not to mention Kindles, iPads and Nooks) across the globe, earlier today saw the first release of portions from the work, which chronicles the historical Christ's public ministry, ending at the Resurrection. Having intended to devote his retirement to the project, the author who became Pope has spent the lion's share of his free time working on the series which, as Cardinal Joseph Ratzinger, he began in 2003 as he awaited liberation from Rome and a return to his native Germany. While unforeseen circumstances intervened, the first part of the series sold over 2 million copies after its 2007 release. The pontiff wrapped up the second book on his summer hiatus after fracturing his wrist, dictating his revisions to the text. As the excerpts -- comprising three sub-sections from the nine-chapter book -- emerged today, one element of the sneak preview instantly garnered global attention: namely, the Pope's treatment of "who killed Jesus?" which resulted in Benedict's "sweeping exoneration" of the Jewish people, who endured centuries of persecution from Christians rooted in the charge of deicide. Called "an important and historic moment for Catholic-Jewish relations" and "a major step forward" by Jewish leaders, at the same time, the passage still unearths the ghosts of the turbulent path Catholic-Jewish relations have experienced in Benedict's reign. While the points of contention have ranged from liturgy to Auschwitz to the beatification cause for Pope Pius XII, the most seismic crisis was, of course, 1999's "Williamson case," sparked by footage of one of the four bishops of the ultra-traditionalist Society of St Pius X denying the existence of the Nazi gas chambers, which emerged hours before the prelates' 1988 excommunication for being ordained without papal consent was lifted. In the wake of the debacle, Israel's chief rabbinate (among others) temporarily cut relations with Rome in protest. 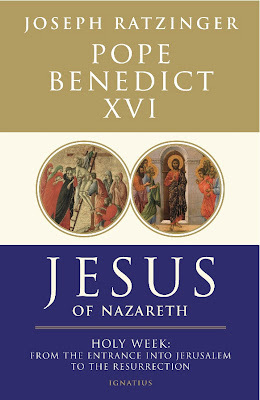 Notably, though, Benedict's new book arrives in the wake of a significant assessment of the Vatican's year-long doctrinal discussions with the SSPX, who have long cited Nostra Aetate, the landmark Vatican II document on other religions -- above all, Judaism -- among their principal "stumbling-blocks" in returning to communion with the Catholic church. In a recent interview, the Swiss-based Society's Superior-General, Bishop Bernard Fellay, indicated that with the talks "coming to the[ir] conclusion," the SSPX team had been unable to accomplish its task of "correct[ing] a whole movement of thought" in the church and "making the Catholic faith understood in Rome" as the group interprets it. Now we must ask: Who exactly were Jesus' accusers? Who insisted that he be condemned to death? We must take note of the different answers that the Gospels give to this question. According to John it was simply "the Jews". But John's use of this expression does not in any way indicate — as the modern reader might suppose — the people of Israel in general, even less is it "racist" in character. After all, John himself was ethnically a Jew, as were Jesus and all his followers. The entire early Christian community was made up of Jews. In John's Gospel this word has a precise and clearly defined meaning: he is referring to the Temple aristocracy. So the circle of accusers who instigate Jesus' death is precisely indicated in the Fourth Gospel and clearly limited: it is the Temple aristocracy — and not without certain exceptions, as the reference to Nicodemus (7:50–52) shows. In Mark's Gospel, the circle of accusers is broadened in the context of the Passover amnesty (Barabbas or Jesus): the "ochlos" enters the scene and opts for the release of Barabbas. "Ochlos" in the first instance simply means a crowd of people, the "masses". The word frequently has a pejorative connotation, meaning "mob". In any event, it does not refer to the Jewish people as such. In the case of the Passover amnesty (which admittedly is not attested in other sources, but even so need not be doubted), the people, as so often with such amnesties, have a right to put forward a proposal, expressed by way of "acclamation". Popular acclamation in this case has juridical character (cf. Pesch, Markusevangelium II, p. 466). Effectively this "crowd" is made up of the followers of Barabbas who have been mobilized to secure the amnesty for him: as a rebel against Roman power he could naturally count on a good number of supporters. So the Barabbas party, the "crowd", was conspicuous, while the followers of Jesus remained hidden out of fear; this meant that the vox populi, on which Roman law was built, was represented one-sidedly. In Mark's account, then, in addition to "the Jews", that is to say the dominant priestly circle, the ochlos comes into play, the circle of Barabbas' supporters, but not the Jewish people as such. An extension of Mark's ochlos, with fateful consequences, is found in Matthew's account (27:25), which speaks of "all the people" and attributes to them the demand for Jesus' crucifixion. Matthew is certainly not recounting historical fact here: How could the whole people have been present at this moment to clamor for Jesus' death? It seems obvious that the historical reality is correctly described in John's account and in Mark's. The real group of accusers are the current Temple authorities, joined in the context of the Passover amnesty by the "crowd" of Barabbas' supporters. Here we may agree with Joachim Gnilka, who argues that Matthew, going beyond historical considerations, is attempting a theological etiology with which to account for the terrible fate of the people of Israel in the Jewish War, when land, city, and Temple were taken from them (cf. Matthäusevangelium II, p. 459). Matthew is thinking here of Jesus' prophecy concerning the end of the Temple: "O Jerusalem, Jerusalem, killing the prophets and stoning those who are sent to you! How often would I have gathered your children together as a hen gathers her brood under her wings, and you would not! Behold, your house is forsaken . . ." (Mt 23:37–38: cf. Gnilka, Matthäusevangelium, the whole of the section entitled "Gerichtsworte", II, pp. 295–308). These words — as argued earlier, in the chapter on Jesus' eschatological discourse — remind us of the inner similarity between the Prophet Jeremiah's message and that of Jesus. Jeremiah — against the blindness of the then dominant circles — prophesied the destruction of the Temple and Israel's exile. But he also spoke of a "new covenant": punishment is not the last word; it leads to healing. In the same way Jesus prophesies the "deserted house" and proceeds to offer the New Covenant "in his blood": ultimately it is a question of healing, not of destruction and rejection. When in Matthew's account the "whole people" say: "His blood be on us and on our children" (27:25), the Christian will remember that Jesus' blood speaks a different language from the blood of Abel (Heb 12:24): it does not cry out for vengeance and punishment; it brings reconciliation. It is not poured out against anyone; it is poured out for many, for all. "All have sinned and fall short of the glory of God . . . God put [Jesus] forward as an expiation by his blood" (Rom 3:23, 25). Just as Caiaphas' words about the need for Jesus' death have to be read in an entirely new light from the perspective of faith, the same applies to Matthew's reference to blood: read in the light of faith, it means that we all stand in need of the purifying power of love which is his blood. These words are not a curse, but rather redemption, salvation. Only when understood in terms of the theology of the Last Supper and the Cross, drawn from the whole of the New Testament, does this verse from Matthew's Gospel take on its correct meaning.